How odd this one is named "Gritty" but the distressed pattern on the back fits that title. But the front side! Such a beautiful print of pink and yellow roses! 12" x 12" mid-weight cardstock. This paper is also included in the Victorian Ephemera Kit; see all the other kit components available to buy separately. 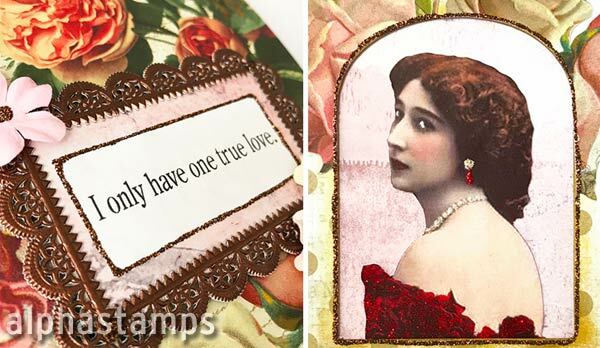 Design Team Member Lora Mahaffey made My Chocolate Valentine (see the wide photo below). More info in the blog and/or see the supply list.